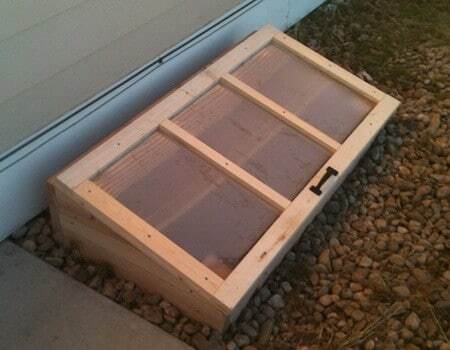 The best way to garden in your yard and not worry about the weather hurting your plants, is to build a cold frame. 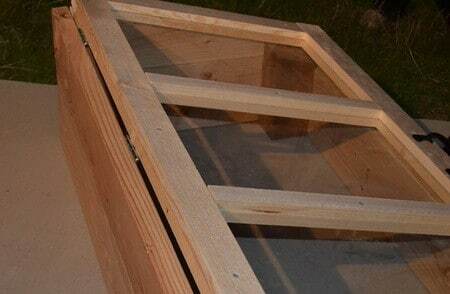 A cold frame is a low profile enclosed box that will act somewhat like a greenhouse and protect your outdoor garden plants from extreme weather. It is simple to build this all by yourself. Just make sure you have a nice spot in your backyard to put this where it can get sun exposure. 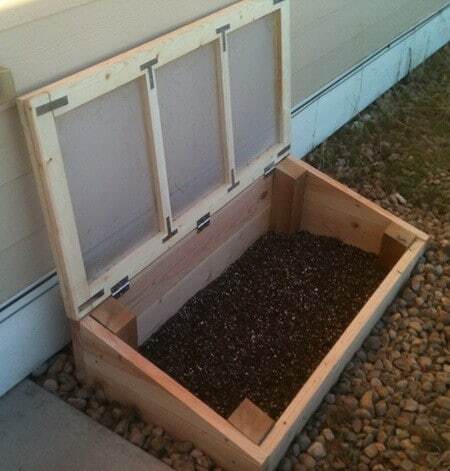 You will be happy with the result of this DIY gardening box as it is proven to grow plants faster! Bags of Sand, Bags of Soil, Wood for constructing garden box, Wood Screws, Plexiglass for box top, Wood Glue, 1 Metal Handle, 4 Metal “L” Brackets, 4 Metal “T” Brackets, 3 Metal Door Hinges, and misc tools. 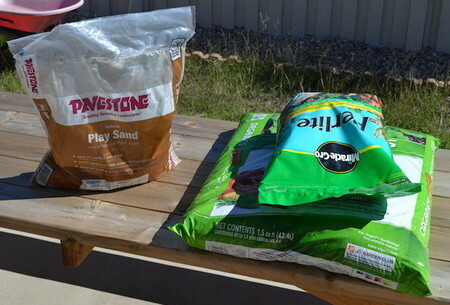 Step 1: Purchase all supplies including the soil and sand. 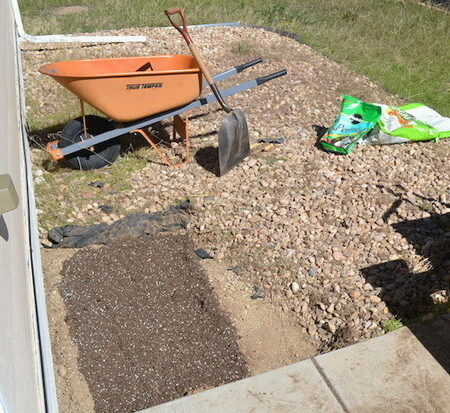 Step 2: Prepare the ground by adding soil 12 inches deep and leveling it out for box to sit on. Step 3: Cut all wood needed to construct your Cold Frame garden box. (Wood was 2×8 cut into 7 pieces. The back is 7″. 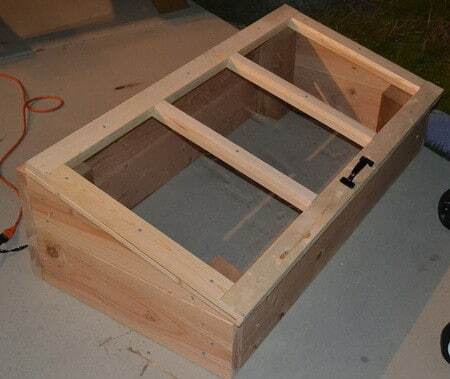 Step 4: Put the bottom base of the garden box together using wood glue and wood screws. 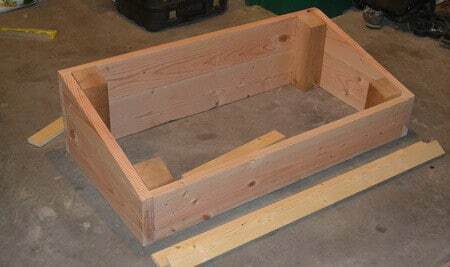 Step 5: Finish up putting the garden box bottom together including the outer walls and inner 4×4 wood beams. 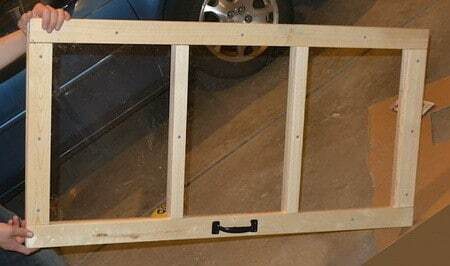 Step 6: Assemble the top opening door with metal “T” and “L” brackets and install the plexiglass sheet. Plexiglass is installed by sandwiching it in between the 2 sets of the wood lid frame. 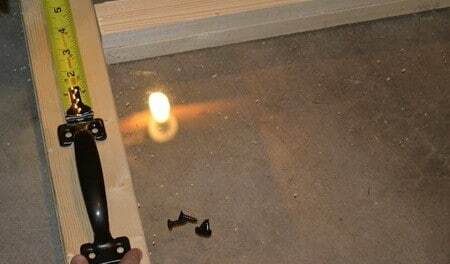 Step 7: Add the metal opening handle using the wood screws and centered on front of door. 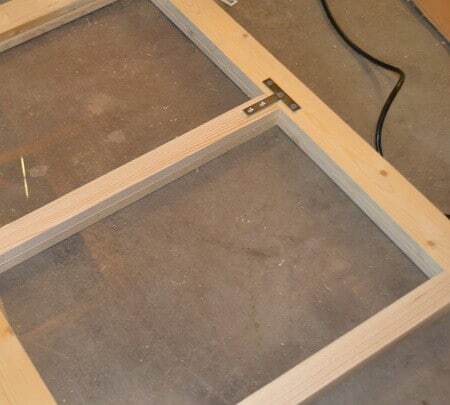 Step 8: Once the top plexiglass door is complete make sure the plexiglass is fully squared with no air gaps. Step 9: Screw the 3 metal door hinges to the base and door making sure the door opens properly. Add weather stripping if needed to make sure there are no air gaps. Step 10: Stain or paint the wood garden box at this time if desired. Step 11: Position the garden box where you leveled out the soil and add more soil into box. Step 12: Make sure the garden box is perfectly level and that it is waterproof. 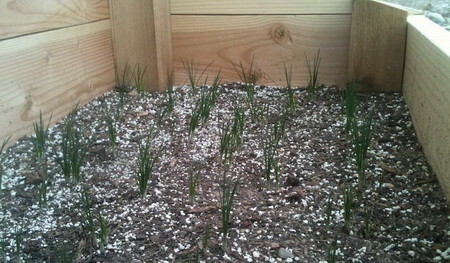 Step 13: Plant your seeds in your new DIY Cold Frame Garden Box!